Video guides showing how to install and position your CCTV camera correctly. 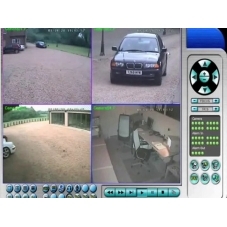 This is probalbly the most important set of videos in terms of creating an effective CCTV system. Choosing the right camera and setting it up properly is essential and these videos help you do that. It is also the most common thing people get wrong. It's worth looking through these videos during the planning stage of your project because as well as chooing the correct camera we also cover locating cameras in the most effective position. Cameras are great for long thin tunnels of vision, not so good when it comes to wide arcs of vision. Wide angle cameras don't record detail. Ironically the vast majority of cameras offered for sale are just that, fixed lens wide angle cameras with pretty far fetched claims in their promotional material. Just because it says 20 metre range on the box don't expect anything like that in terms of actual results. If you are planning a CCTV system feel free to get in touch with us for specific advice in terms of camera choice and positioning. 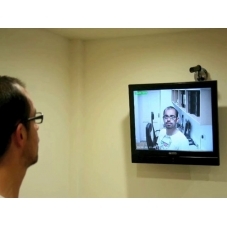 Things to consider when locating internal CCTV cameras. In this video we look at why putting the camera in the corner of a room might be a good idea. 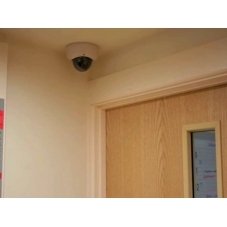 We also explain why doorways are important when it comes to planning a CCTV system. Most people use wide angle CCTV cameras and wonder why the results are so poor. In this video we explain why using wide angle cameras doesn't give any useful detail. The single most important thing to get right is camera choice and in particular using the right lens. Get this right and you will be able to positively identify people and vehicles. When deciding where to fit cameras try to exploit the strengths of CCTV and avoid the weaknesses. It isn't rocket science, just common sense but we show you how to stand the maximum chance of identifying someone by filming along the length of movement, not across it. As an added bonus people end up walking towards the camera increasing the amount of detail you capture. This video shows a simple technique to get people to look straight into the camera allowing you to identify them. You can also use the method to let people know they have been caught on camera meaning they are less likely to commit crime. 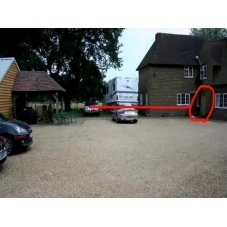 Don't just rely on a cameras Infra red light at night. See CCTV as part of a cohesive package which includes lighting as well. The sensitive electronics in our cameras can make use of even relatively small amounts of additional light at night.